Book yourself in for a week of some of the best road riding you may ever do and discover why so many professionals choose Girona as their training base. The rides are a fantastic mix of stunning coastal scenery, quiet and hilly inland roads, challenging climbs and buzzing descents, that take you through undoubtedly some of the most picturesque scenery on the Costa Brava in Catalonia, Spain. The rides have been carefully selected to take you along high quality secondary roads that reduce your exposure to traffic – even during the busier times of the year. The accommodation for this tour is staying at the fantastic 4 star Hotel S’Agaro, overlooking the beautiful blue waters of the Mediterranean Sea in the bay of Sant Pol in Sant Feliu de Guixols. The hotel also has its own Spa and Wellness centre. A fantastic way to warm up and get accustomed to the un-crowded and beautiful riding that this area of Catalonia offers. This ride is just over 50 km in length and offers the opportunity to see some of the great sights on offer while you cycle along. The turn around point is Tossa de Mar that has a stunning Citadel overlooking the blue waters of the Mediterranean sea – a great place to have a coffee before returning back to Sant Feliu. This is a great day’s riding that takes us through the heart of the Pine and Cork forests of the “Les Gavarres” protected area. This zone is a cyclist’s paradise with quiet, good quality, winding country roads that are almost always free of traffic. There are several peaks to climb that will keep you on your toes before buzzing downhill back towards the coast. Today we ride along the Tossa de Mar road before heading ‘up and over’ the Sant Grau climb. 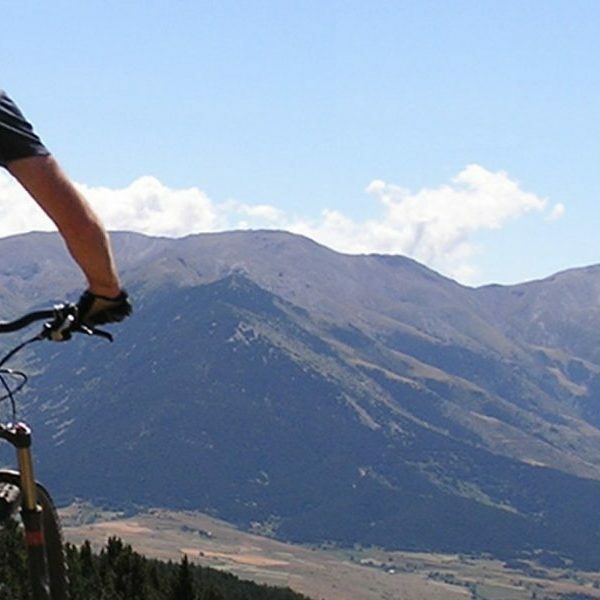 We then have a fantastic descent for about 10 km before cycling through the Pine and Cork forests of the ‘Les Gavarres’ protected area towards its Northern side where we cycle through some of the jewels in the crown of the Medieval villages of the Baix Emporda before winding our way back towards the coast. We spend the majority of this ride cycling through the Pine and Cork forest of the ‘Les Gavarres” protected area. We take a different route to the previous day to enjoy some of the stunning views from the ‘Els Angels’ monastery. We return via Girona city where we can stop off to enjoy a coffee in the Medieval centre of the city before continuing on towards the coast. Today we head out on a beautiful ride that takes us through the plains of the Baix Emporda, stopping off at the timeless medieval villages that are dotted throughout this area. We then return towards the coast with a final climb and descent through the “Les Gavarres” protected area before returning to Sant Feliu de Guixols. 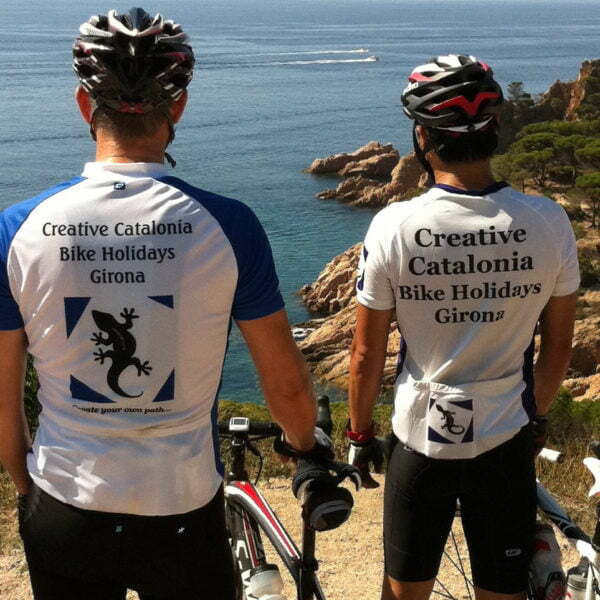 We finish our week of riding heading out along the stunning Sant Feliu to Tossa de Mar coastal road. However, after approximately 12 km we take the Sant Grau turning that takes us up the winding and challenging road to the Chapel near the top of the hill. The views are spectacular and certainly help to distract you from the climbing that you are doing. From the peak of the hill it is a great downhill and then returning to your hotel along the beautiful Tossa de Mar coastal road to top off an amazing week of riding! 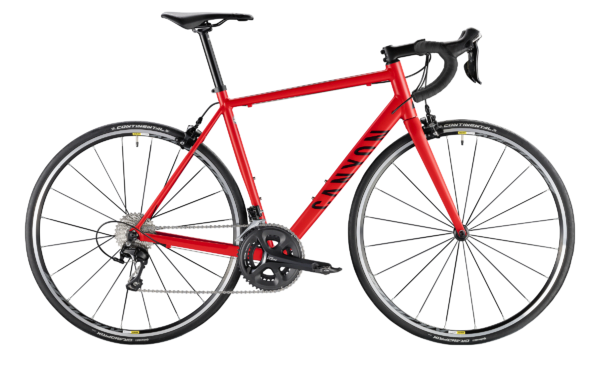 The 2018 Canyon Endurace AL 7.0 provides the perfect combination of light weight and reliability. Equipped with a full Shimano 105 11-speed groupset for slick shifting and confidence-inspiring braking, and a compact (50/34) chainset to provide the range of ratios to keep you spinning on the exhilarating climbs and descents that Catalonia has to offer.